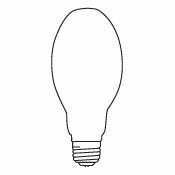 From the shapes displayed, simply choose and click the image of the bulb that you require. The next page will give you a full list of available bulbs of that shape. 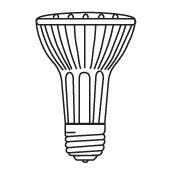 To narrow down your search further, and ultimately select your ideal bulb(s), use the filters on the left hand side, which allow you to specify the exact technical requirements you need. If you are still having trouble finding your ideal bulb please do not hesitate to give our helpful customer service team a call on 0843 317 7820 and they will be happy to help you with your search. 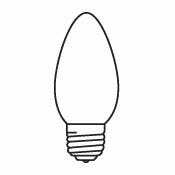 The GLS Bulb has the most familar shape. 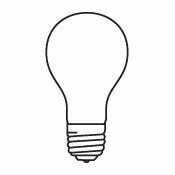 Over a century old it is recognised as the original household light bulb. Candle bulbs are designed to resemble a flame, with bent tip, twisted and natural versions available. Golfball and globe light bulbs offer a more spherical option to that of a standard light bulb. 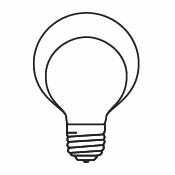 Pygmy and appliance bulbs are generally designed to be used in extremely confined spaces. Reflector bulbs are typically used in track lighting systems in shops, art galleries, or the home. 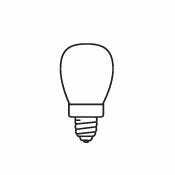 Spotlight bulbs are generally used for accent lighting, task lighting and general lighting. 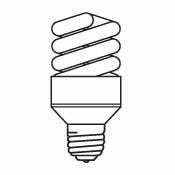 Stick and spiral bulbs are the classic form of Compact Fluorescent Lamp (CFL), which are often used to replace the common household bulb. 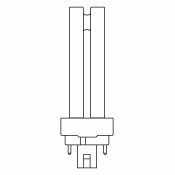 Linear bulbs can be easily described as ‘straight’ bulbs with a double-ended connection. 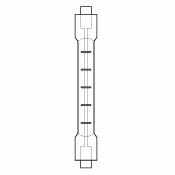 Striplights and tubes are a mostly linear light source, and a classic form of fluorescent lighting. 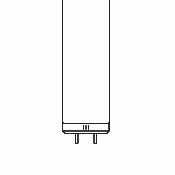 The 2D or Double D was originally a fluorescent lamp that was reshaped and flattened to fit into low-profile luminaires. 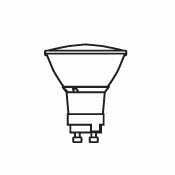 Capsules are small bulbs normally used wherever space is at a premium and have a two pin fitting. 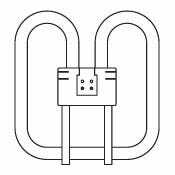 Known as HID (High-intensity discharge) lamps, these are used in applications where a high level of illumination is required over large areas. 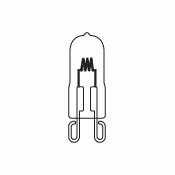 2-pin and 4-pin bulbs are commonly used in recessed ceiling lights, wall lights and table lamps.